BUZI, Mozambique — She struggled home with food, her small daughter and the proof she was still alive. The fishermen’s boats ferry the displaced daily to Beira, sometimes scores at once. But Fatia was going against the tide, up waters that recently carried corpses to the sea. 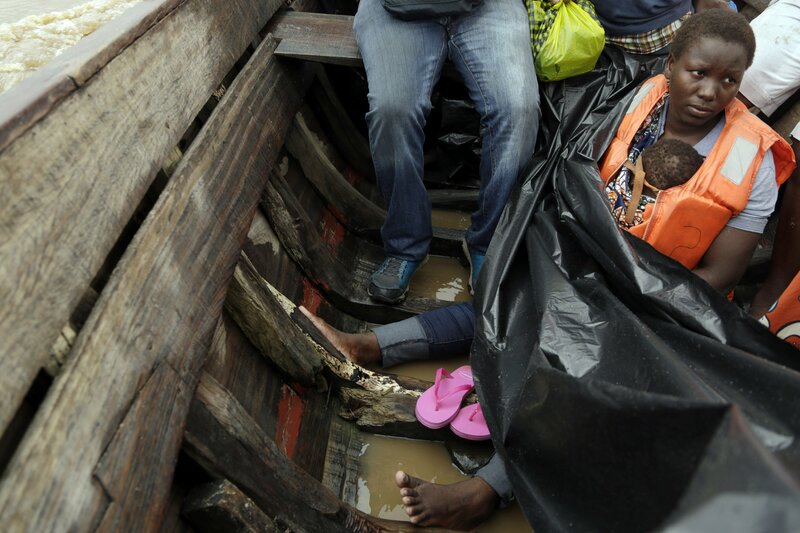 More than a week after Cyclone Idai roared in, the muddy flood waters were still pouring off the river banks, draining what aid workers had called an inland ocean. “Mama!” She was there. They embraced on a concrete walkway now littered with cooking fires and tiny children, one nodding off beside a pile of still-warm ashes. “My home is gone, but I’m also happy because I can see my family,” Fatia said. The fishing boats between Buzi and Beira are now a lifeline, braving spattering rain, rolling waves and still the punching stench of death. Near Buzi, a dog’s carcass hung from the branches of a tree. “If you don’t answer well, we won’t eat!” The people called out as he spoke to The Associated Press. Other residents of Buzi try to adapt however they can, from the Bible reader on the rooftop blaming the cyclone on people’s sins to the man walking down the road in soaking wet trousers. They were the only clothes left, he explained. It was very much wash and wear. Many people were still on the move. Dozens waited at Buzi’s small pier where the fishermen’s boats pull up, bags of belongings at their feet and concern on their faces. Or they simply watch for news.